What’s that coming over the hill? | An alien voice under a duvet of dreams. Posted by phoenixaeon in BtVS, Children's Literature, Coraline, EA300, Harry Potter, Neil Gaiman, OU, Princess Mononoke, TMA06. It’s a monster! That’s what it is! Could even be Godzilla! From not having any idea of where I wanted to go – even where I wanted to start – with TMA06 a couple of days ago, I have now had a Promethean spark of muse-like inspiration. I have direction! To begin with, I had picked the wrong option of the two I’m allowed to choose from. The first option had me arguing against a statement, but I couldn’t get my head around how it was to fit with the set books for the block. The set books are all contemporary, yet the statement seemed to require a wider reading span over a greater period of time. Confusion abounded! Option 2 consists of looking into the role of adaptation since 1990. I had planned to leave this as it could be/probably is appropriate to the ECA. But after reading an essay on the translation of Harry Potter into Chinese, well, my brain suddenly exploded with possibilities. The translation process and problems therefore of reconstructing character names to fit into Chinese interpretation totally had my thoughts in overdrive. I’m sorry, but I love things like that! The difference in meaning of Voldemort in Chinese and Taiwanese really intrigued me. 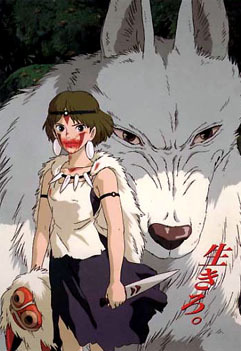 This then got me thinking about translation of Japanese Manga/Anime into English, leading me to have a look at Princess Mononoke, as I knew this had been translated for the Western market by Neil Gaiman. (Yes, I know. Feeding my addiction. Again.) So I’ve looked up some interviews and such, discovered that the film has recently been broken down into a series of comics (though as an adaptation this may be tenuous… We’ll see. ), and found an annotated script. Yay! On the way to working an essay. Then I thought, as I’ve already bought Gaiman into it, I could go on to mention how his work has been adapted, taking Coraline as the source material. I mean, this has been twisted and converted into so many different forms of media, how could I not? Not to mention that it has been translated into about 15 different languages. So, with that final key in the other-worldly door, I have my somewhat tenuous plan sorted. Now all I have to do is fit it in with some of the critical essays within the course, find a way to drop in a mention of the block’s set books, and I’m good to go. Rock on! Now I’ve got some sort of plan, I have to hope that 2,000 words is going to cut it. If not, I might just take a look at Buffy instead! Well… It get’s more fascinating. Having chosen adaptation and the texts I am going to attempt to argue about, I realised I wouldn’t answer the question by talking about what I had put in this post. It’s not just the translation process I need to look at. It was the effect on the construction of childhood. So the order is reversed now – beginning with the multiple adaptations of Coraline I’ll discuss how the adaptation of the film into a computer game allows for interaction and (limited) decision making processes, as well as some kinaesthetic learning. Mononoke – the salvaging of myths and the move away from traditional Japanese patriarchal society (with possibly a little environmentalism thrown in). 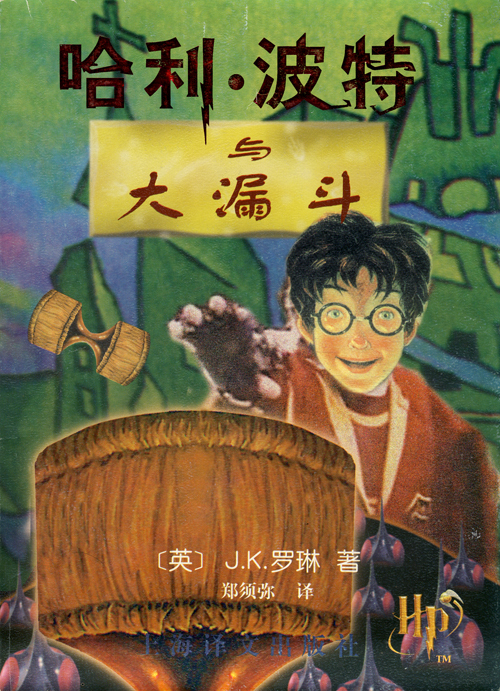 Harry Potter – the reconstruction of Chinese childhood to allow individualism and a move away from ‘the needs of the many outweigh the needs of the few (or the one)’ type thinking. I am finding this block of study, now that I have a plan, extremely interesting!